When looking to purchase a professional boat there are a few issues that the shipowner has to considerer. What engine to choose? What type of boat? And the most important, what is the best material to build the hull? Choosing what is right for you depends on what you are using the boat for (patrol, search and rescue, fireboats, pilots, workboats…) and what factors are important to you but the construction of professional aluminium boats has increased in the last 30 years thanks to the lightness, durability, flexibility and high structural strength that offers this metal. 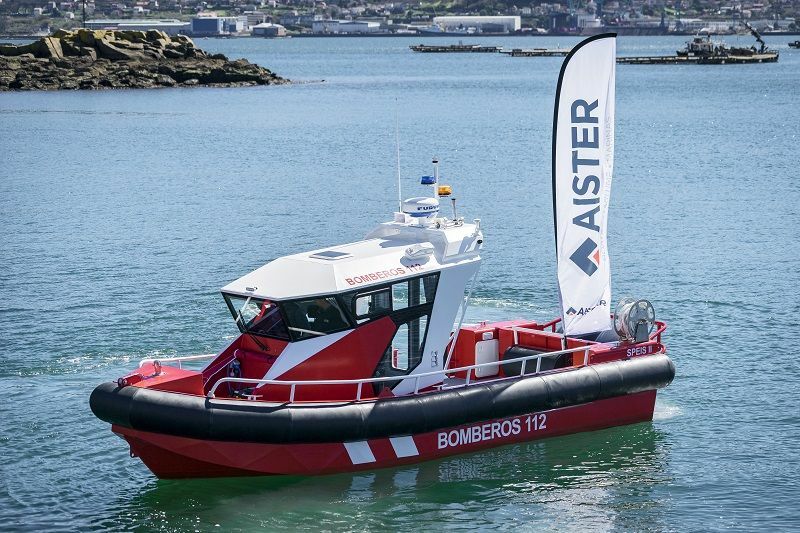 If you need a boat that can withstand harsh conditions, then aluminium is the way to go. Aluminium has great toughness. It will resist impacts that never fibreglass will survive. In such circumstances, fibreglass will break, while aluminium will merely mark. Like steel, aluminium has considerable ductility, i.e.…, the ability to withstand permanent deformation without rupture. It has one third the modulus of elasticity of steel, and then it absorbs the energy of an impact over a greater distance than steel. On the other hand, fibreglass is exceptionally fragile and is thus subject to cracking and fracture during impact. Besides, GRP boats contain petroleum-based resins which burn energetically but aluminium doesn’t burn. 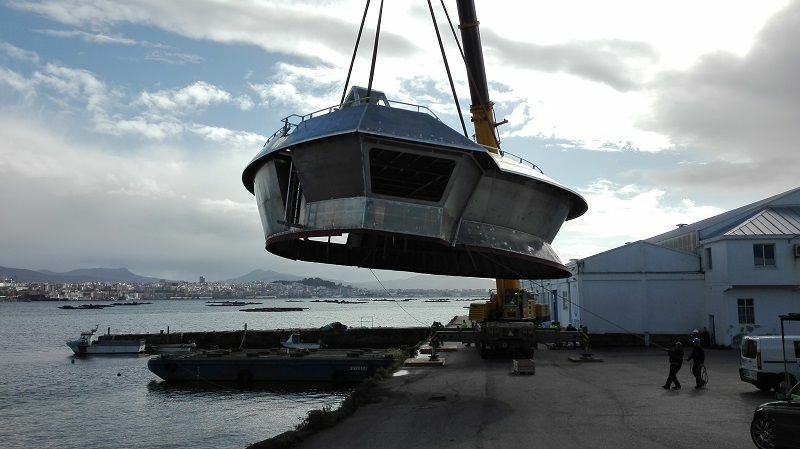 That’s why professional aluminium boats guarantee the safety of the crew while working or travelling on a ferry. 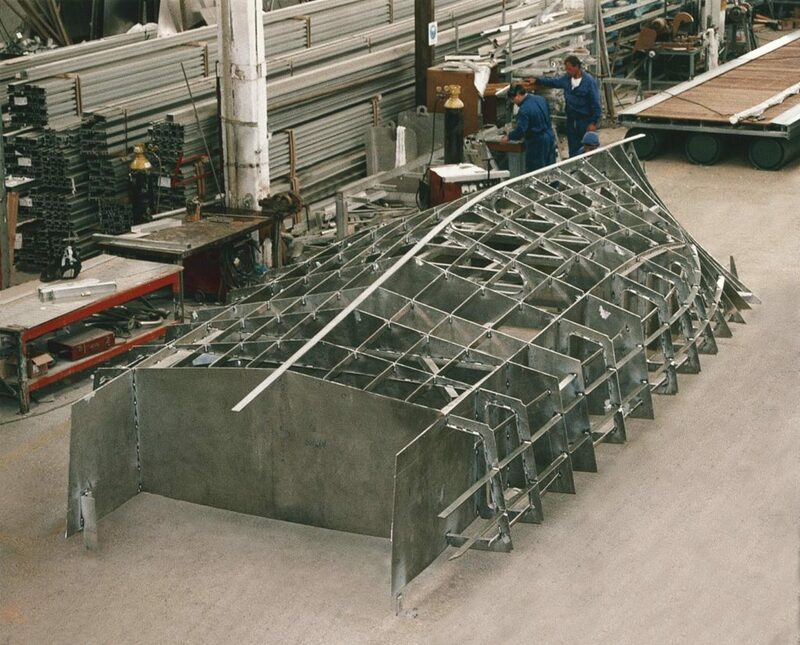 One of the most significant benefits of building an professional aluminium boat is the performance output. Aluminium weights 2.70 g/cm3, about 30% less than an equivalent steel hull. Reduced weight means it’s easier for the boat travels through water, which makes it faster and more efficient. These differences will become more notables according to the size of the boat. Excellent strength to weight ratio has made professional aluminium boats increasingly popular for professional shipbuilding in recent years. 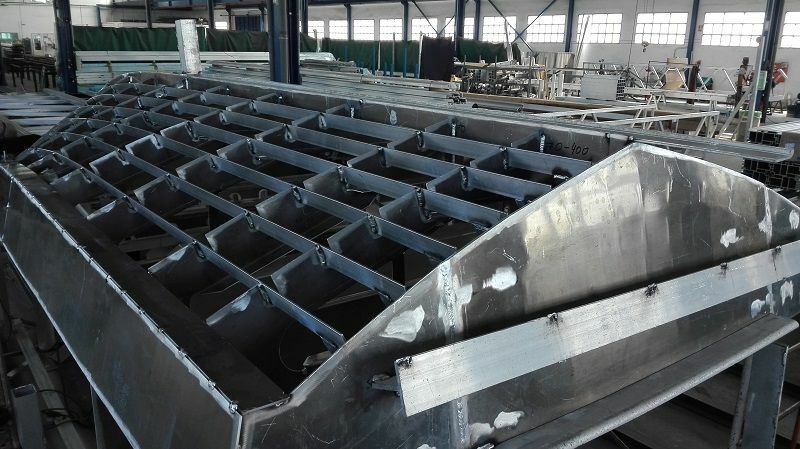 Currently, aluminium is also used in the construction of superstructures of longer steel vessels because this metal increases the stability of the boat. Aluminium is one of the most attractive metals for recycling in both energy and economic terms. This material recycling requires just 5% of the original energy need to produce the metal. The percentage of reclaimed aluminium has been continuously rising for 30 years to a level where it now represents 30% of the world’s consumption. Aluminium recycling is profitable because aluminium waste is a valuable resource. However, the ship owners of a GRP boat will have to pay for the recycling of fibreglass when the boat ends its useful life. 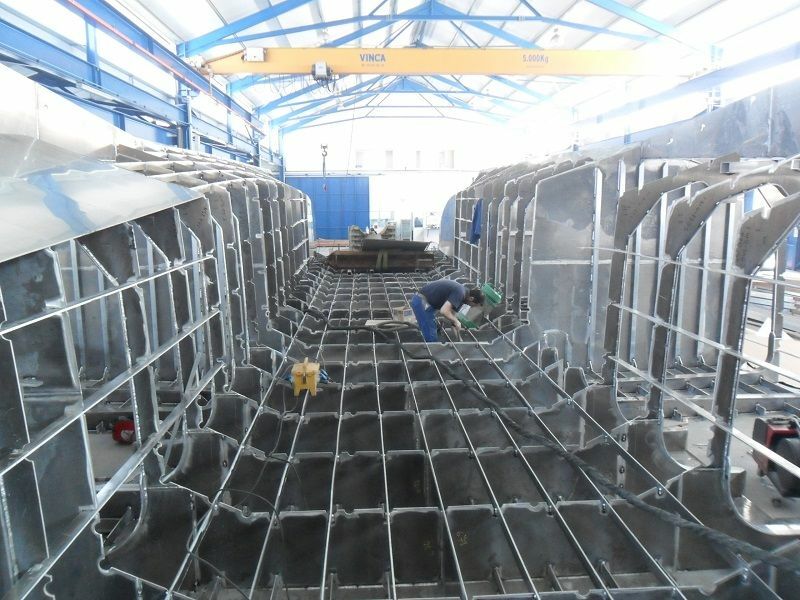 The dismantling of professional aluminium boats is not yet a widespread practice because most of these vessels are not very old (less than 30 years) but what little experience in this field indicates that dismantling vessels made with aluminium alloys (belong to 5000 and 6000 series) not present a particular difficulty. The resistance to corrosion and osmosis of aluminium is excellent. 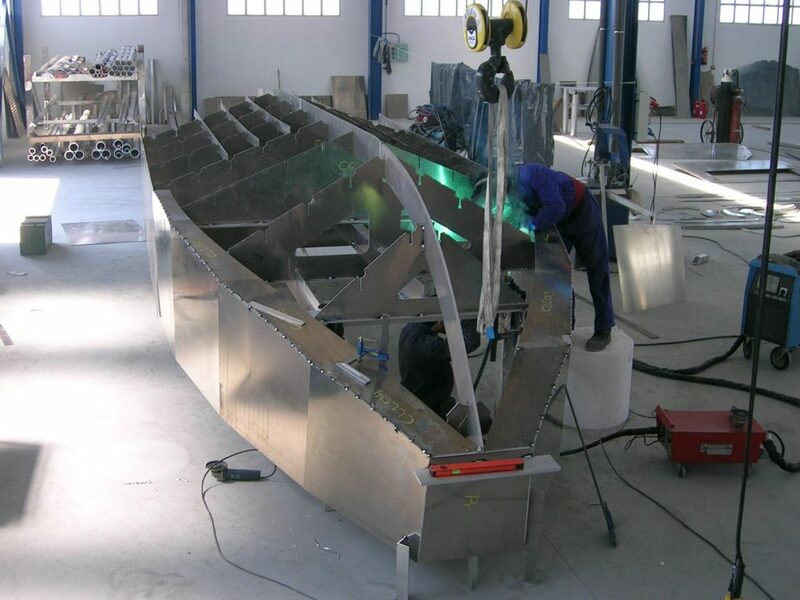 Corrosion problems with aluminium boats can usually be traced to either the use of improper alloys or galvanic or corrosion, all of which may be quickly eliminated through proper material selection and insulation procedures. Fortunately, all type of boats can be repaired, but aluminium boats are much easier to repair. With aluminium, dents can often be pounded out with a hammer, but if necessary, sections of a plate can be cut out and replaced merely winning off repaired one boat in a few days. However, the same impact with a fibreglass boat might well have sunk and probably would be damaged beyond economically feasible repair. Aluminium boats have the longest lifespan. The alloys 5000 and 6000 series which are mainly used in shipbuilding are known for their high strength. 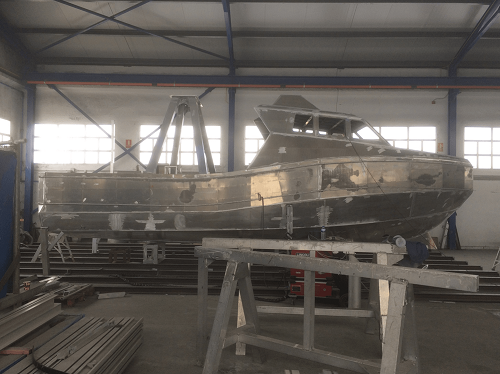 Usually, an excellent aluminium boat can live 30-40 years easily with regular and little maintenance. 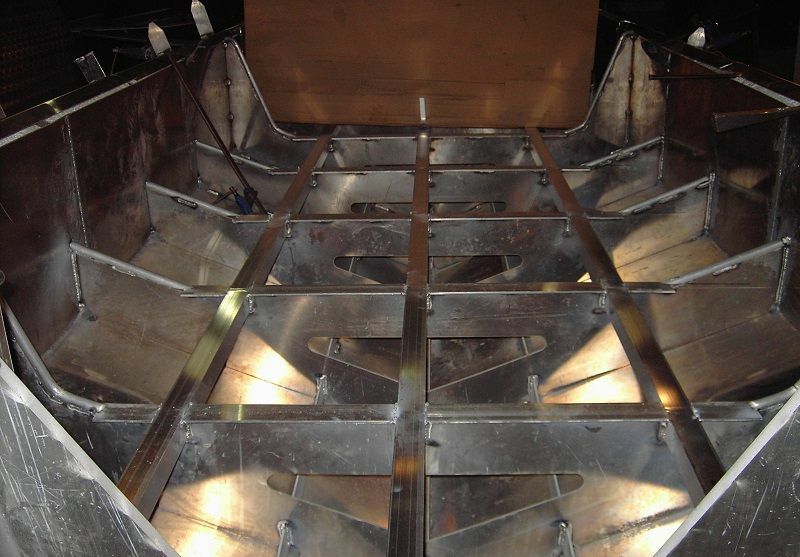 Aluminium boats are more customizable than fiberglass boats. This is because fiberglass hulls are built from molds so the shapes and features of this type of boats are standard and pre-determined. However, aluminium boats have a range variety of options and configurations so if you need a boat adapted to a specific activity, aluminium is probably the most appropriate option. Another key factor in the customization of aluminium is elasticity. Aluminium is more elastic than steel, which favors the adaptation the shapes when designing.